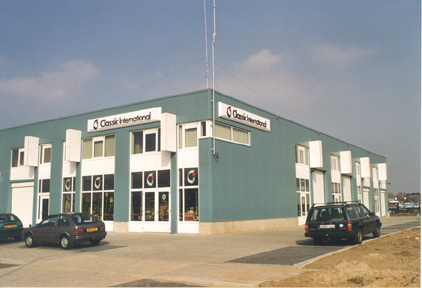 Classic International B.V. has been established in 1984 and has branches in Roermond The Netherlands) en Mönchengladbach (Germany). In the meantime our company became a major importer/distributor/dealer of quality products in the field of wireless communication for amateur, semi-professional and professional purposes in Europe. To support our customers we aim to supply most products ex stock. For many years Classic International is (exclusive) importer of a.o. : Ameritron, Bencher, Butternut, Cushcraft, Flexa, Heilsound, Hustler, HyGain, INAC, MFJ, Microset, Mirage, PKW, Plasti Dip, SSB Electronics, Tonna, UltraBeam and Vectronics. For over 17 years Classic International represents Plasti Dip International / Performix companies in EU. As long-term authorized EU distributor, we supply Performix products directly to private users, large volume buyers, resellers, installers and industrial clients in various sectors of the market within EU. According to free trade agreement in EU basically anyone can buy Performix products from us and is free to apply and/or resell to anybody. Classic International is approved REACH compliant. Buyers of our PlastiDip products automatically get the status of REACH downstream user. Monthly shipments directly from the US factory. All Performix products are stored in our warehouses in Roermond, Netherlands. Storage hazard goods under PGS-15 regime and labeling under EU GHS-CLP regulations. Classic International ......an enthusiastic team over 34 years at your service. We can assure that all orders will be treated with great care.